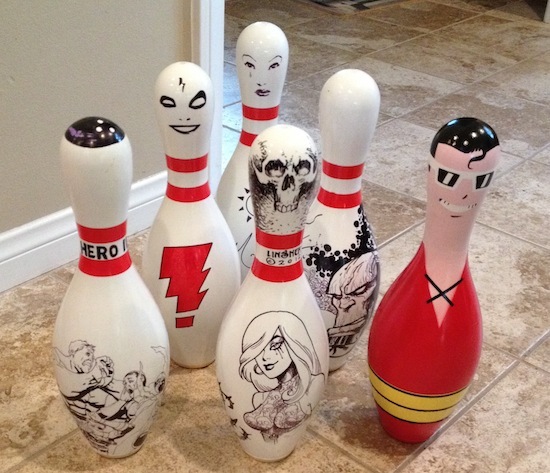 If you’re heading to the Emerald City Comic Con this week, you can also meet some great creators, go bowling, and get a chance to win some original art (on a bowling pin! Go Plastic Man!). Awesome. Details below. Hero Initiative the non-profit organization that aids comic creators in medical and financial need is heading to Emerald City Comic Con March 30 through April 1 in Seattle, Wash. at the Washington State Convention Center. We have many special guests, and we are going BOWLING! That’s right! We’re bowling to raise money for our cause on Friday March 30 at 8pm! There are 24 spots to bowl with a special guest including Jim Valentino, Francis Manpul, Barry Kitson, Tony Parker and more at Garage Billiards at 1130 Broadway in downtown Seattle! 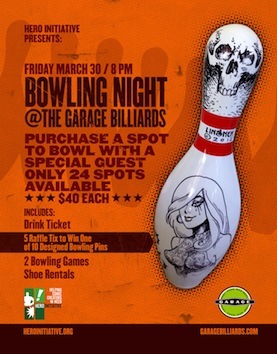 (http://www.garagebilliards.com) For $40 you get 2 games with a special guest, shoe rental, a drink ticket and five raffle tickets to win a bowling pin designed by artists such as Joe Linsner or Matt Wagner! You never know who will show up! Go to http://cgi.ebay.com/ws/eBayISAPI.dll?ViewItem&item=290689940957 to secure your spot! And if you don’t want to bowl, come and have some fun! The custom bowling pins can be won by ANYONE who shows up! Raffle tickets are $5 each, and tickets will be sold all day Friday at booth number #807 and all evening at the event. Winners MUST BE present. Of course our special guests at the booth will be signing and sketching for us. Check it out! The Hero Initiative is the first-ever federally chartered not-for-profit corporation dedicated strictly to helping comic book artists and craftsmen in need. 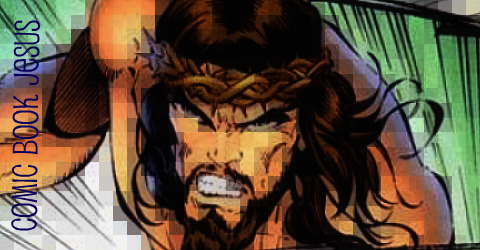 Hero Initiative creates a financial safety net for yesterday’s creators who may need emergency medical aid, financial support for essentials of life, and an avenue back into paying work. It’s a chance for all of us to give back something to the people who have given us so much enjoyment. Since its inception, The Hero Initiative has had the good fortune to grant over $500,000 to the comics veterans who have paved the way for those in the industry today. For more information, visit http://www.heroinitiative.org or call 626-676-6354.